I love a good star pattern somewhere in a boy's room. 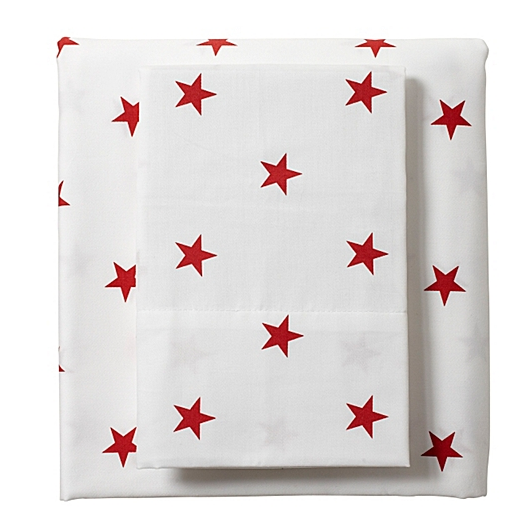 Serena & Lily came out with their star pattern for a sheet set years ago and it is still a hit. $98 for a twin set and it is now available in aqua and green. Now Pottery Barn has jumped on the wagon and has their own less expensive Organic Star Sheeting version available in red or navy for $58 for a sheet set. Now this set is also "organic" for an added bonus, but many purists argue that once a fabric is printed on it is no longer truly organic because of the dyes in the fabric. 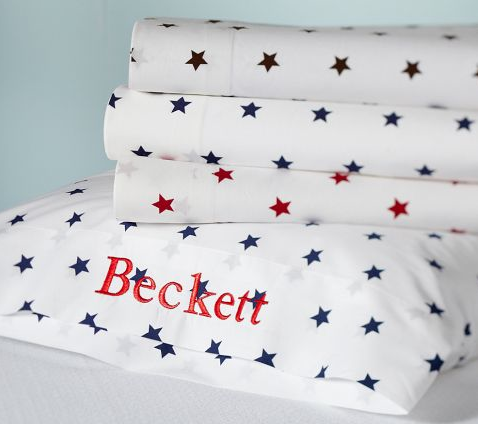 These are just gorgeous for a kid’s bedroom. They would be lovely if they were the quality of Egyptian cotton bed sheets. 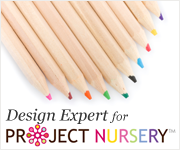 But for a child, these are just perfect. Can you advise what thread count sheets this linen is? They are very cute. in the search of a reliable handbag replica merchant.According to a recent report from research firm Strategy Analytics, Watches Replica smartwatch shipments reached 8.1 million units in the final quarter of Replica Rolex Watches last year, versus 7.9 million for UK Replica watches .“The Swiss replica watches watch industry has been very slow to react to the development of smartwatches,” Designer handbags said Neil Mawston, an executive director at Strategy Analytics. “The Swiss.